Each race tells a story and gives lessons about triathlon and life. Ironman Louisville was definitely NOT a repeat of something I have ever done and was quite the story with so many lessons learned! Sit back with your favorite beverage and enjoy what was the absolute toughest day I’ve ever had! It is quite the lengthy account of my day, so if you want the short version, you’ll miss out on so much, but just scroll to “Overall” at the bottom of the post. On race morning, I woke to rain, air temperatures of 40*F, and higher winds than I what were predicted. I ate my muesli, drank my Karma Kombucha, and read my pre-race paragraph from “Swimming to Antarctica” by Lynne Cox before putting on my race gear and heading out the door. Struggling into my wetsuit in the dry car. After putting on my wetsuit, it was time to make my way down to transition to put my bike bottles on my bike, reduce my tire pressure a bit (thanks to the wet roads), get body marked (thankfully this was under a bridge so I could get my wetsuit back on easily), and then head down to the swim start. Transition…who’s ready to race in the rain + cold?! It was a 0.9 mile walk from transition to the swim start. During this time, I drank one bottle of my Infinit bike nutrition to get some extra calories in before the swim. Once at the swim start, I lined up behind the 1:10-1:20 sign as I anticipated a 1:12-1:15 swim time for my 2.4 mile swim. As we waited for the swim start, my feet started to freeze and I really had to pee. Since it was still raining, I decided let it flow and guess what?!?! IT WARMED MY TOES!! This would later prove to be a great decision as the amount of time we were to stand and wait was extended from about 30 minutes to more than an hour. At 7:2o am, they let the pro men into the water for a practice swim. This was when the race director realized the swim course was going to have to be shortened because the pro men could not swim upstream due to the strong current. This meant that the race start would be pushed back by at least 35 minutes. Once the age group athletes got word that we were now only swimming 0.9 miles downstream and wouldn’t be starting until 8:10 (instead of the 7:35 am scheduled start time), the buzz + hype started. Athletes were upset that they wouldn’t be doing the full Ironman distance. Athletes said things like, “If Ironman’s mantra is ‘Anything is possible,’ then they should allow us to try the full swim.” I could have easily allowed myself to get sucked into all of the buzz and drama that was going on, but instead reminded myself that even though I’d trained for the 2.4 mile swim, it was time to accept the change and focus on getting to the run. Yes, I knew that a 112 mile bike stood between the swim and the run, but with the adverse conditions, my goal was to get to the run. Spraying down with SBR Sports Tri Slide before zipping up the wetsuit. Thankfully I was under a bridge to stay dry at this point. As we made our way to the docks, I joked with Dave Kappas (the race announcer since Mike Reilly was in Kona) about floating on our backs down river with a pool floaty and a cup holder for an exotic drink. As we slowly made our way down to the docks, the chatter continued, my feet became numb, and the anxiety of spending the rest of my day cold + wet built. Finally it was my turn to jump off of the dock and into the water. Before jumping into the water, we were told there were 6 buoys we should keep on our left (in other words, stay to the right of the buoys and to the left of the kayakers). As I jumped into the water, the 69*F water temperature felt SO WARM!! Ahhh…finally my feet would warm up!! I saw the 1st buoy and kept it to my left, but as I was approaching the 2nd buoy, I realized it was no longer attached to the anchor at the bottom of the Ohio River. Instead, it was drifting downstream and toward the center of the river (it kept moving right), so I decided to try to hold my line. The kayakers were yelling at us telling us to go to the right of the buoy. I stopped swimming just long enough to tell them the buoy was not attached and was floating away. A couple of them took off after the buoy and others just kept shouting at us trying to tell us where to go as the next buoy had also previously been separated from the anchor. Others were trying to keep us to the right of the bridge pillar as all kinds of logs and debris had built up between the pillar and the shore. They didn’t want us swimming into a log jam. Thank you volunteers!! Trying to hear what people are shouting at you with your head in the water is nearly impossible, so I did my best to hold my line and keep swimming. I swam past one gentleman floating on his back taking advantage of the strong current in the water. As I continued to swim, I realized that only 3 of the 6 buoys we were supposed to swim to the right of were actually properly placed for us to swim past. The other 3 buoys had to be captured and hauled to shore by kayakers because they became detached from the anchors. As I approached the swim exit, more kayakers were shouting. I briefly stopped swimming so that I could hear what they were shouting. “Don’t overshoot the swim exit!”Apparently people had overshot the swim exit and kayakers had to haul them back upstream because the current was too strong for them to swim back upstream to the swim exit that they’d missed. I continued on and as I was within 100 yards from the swim exit, the smell of sewer drifted over us. I SERIOUSLY thought I was going to puke in the river! It was ABSOLUTELY DISGUSTING! While it was still raining and cold, I was very glad to have the first part of the day behind me. One lone swim buoy out in the Ohio River!! I quickly pulled down my wetsuit and had a couple of amazing volunteers strip it off of me before running my way into the transition area to bundle up before heading out on the bike. Warmest part of the day…DONE!! The day before I had put on my race gear, took a cold shower, and went out on the bike in 38*F air temperature to test if my race gear would be warm enough. Brrrr!! Through this test, I had a really good idea of what to wear on the bike though!! I stepped into my aero top, tugged on two pair of arm warmers, slipped my toes into plastic bags, pulled my socks on overtop, slid my feet into my shoes, grabbed my extra Infinit bike nutrition and shoved it in my aero top, donned my helmet and clear goggles as I ran to my bike. As I exited T1, I saw my Coeur Sports teammate Lia cheering me on! Thanks Lia! Running to the bike…ready to ride in the rain!! As I started rolling out of town, I was cold (42*F), wet, and I decided to ride on feel alone. This was not going to be a “normal” 112 mile Ironman bike ride, so trying to maintain my prescribed watts with wet roads and wet brakes went out the window in the first mile. Rolling out of transition ready to be cold and wet for the rest of the day!! I’m riding along the river, although you can’t really see it in the background thanks to Mother Nature’s unique sense of humor. As I turned onto the loop, I saw a few athletes standing on the side of the road with their bikes leaned up against a fence. They were SO cold that they were shivering uncontrollably. I told them they should get on their bikes and keep moving to try to stay warm, but they said they were waiting for the sag vehicle to come and pick them up. They had decided that their day was done. I rode on. OMG…my feet are so cold that they are numb!! I really have to pee…I’ve never peed on the bike before…maybe I should try on the next downhill. Ahhh…that feels SO GOOD!! OH and my feet are warm!! I may have to do this more often!! Well that didn’t last…cold feet again. UGH!! Shortly after this point, I saw Tim as I was climbing up the hill into LaGrange. He was cheering for me (and all of the other athletes), ringing the cowbell, and encouraging us to keep going. He told me Dad and Abbie were up ahead. After passing him, I started crying. “This is SO HARD!! STOP IT!! You have done harder things!! EXPLORE! !” (lie #1 to myself) I pedaled on through the hot corner in LaGrange with a smile on my face as random strangers cheered me on. I completely missed seeing Dad and Abbie on that first loop. After leaving town, it became pretty desolate. There were only a couple of places where spectators were out on the course cheering us on, but not many. Thankfully when I turned left, I was blocked by a wall of trees and I had a break from the wind. Who cares if I have to climb a hill or two?!?! I don’t!! I love climbing!! I’m just happy to have a temporary reprieve from the rain and wind (don’t worry…it didn’t last)!! Taking advantage of the temporary break in the rain and wind!! Climb baby climb!! Ok…Here we go again!! One more loop!! Just finish the bike and get to the run!! There are those random strangers cheering me on at the hot corner in LaGrange!! Thank you for still being out here. Finally I get to turn left again to enjoy the area without wind!! Let’s climb some more!! Here we go again!! Loop 2 will lead me back to Louisville!! Thankfully I get to descend and pee again to warm my feet!! 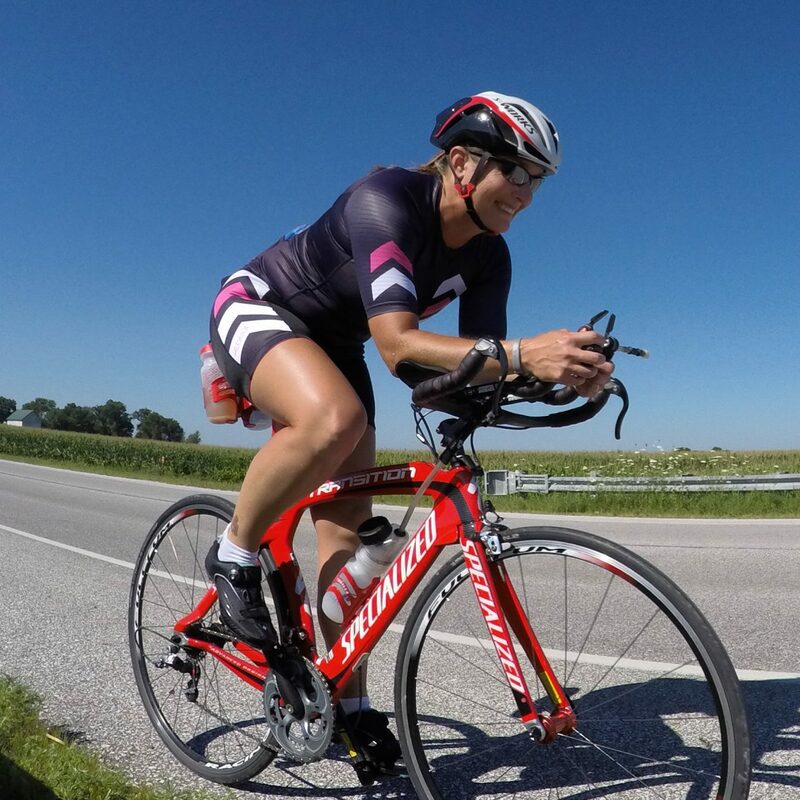 A guy in an IronWorx Multisport kit passed me saying, “Hey…Do you know Steena? !” I responded with, “I do! Love her!” He said, “She is the best!” before riding on down the road. Oh look…there is the sign saying, “Mother Nature is a whore” and guess what?!?! It’s still raining + cold!! Go figure!! Just keep smiling!! You’re AWESOME!! EXPLORE! !” (lie #4 to myself) I really wish my feet would stay warm longer than 10 seconds when I pee on them!! “I don’t know if I can do this anymore. I’m so cold + wet! Why can’t Mother Nature give us a break?! STOP WITH THE NEGATIVITY!! You are doing awesome!! Just get to the run!! EXPLORE! !” (more lies…how many exactly by this point is beyond me as I’m sure I missed a few) Grandma’s hill…here we go again!! Last time up this B*TCH!! “OH SH*T!! Mojo…why did you drop your chain at the bottom of the hill?!?! UGH!! OK…Single leg spinning…you can do this!! You’ve done worse!! There you go! Clip that other foot in and get to the top!” Grandma’s hill for the last time…check! Pee on the bike…check! Guys in speedos cheering us on the rain…where are you?!?! Pee on the bike…check! Road sign that says “Louisville 33″…check! FINALLY I get to go back to Louisville and I get to enjoy the tailwind since I fought a headwind on the way out of Louisville! “Wahoo! Let’s rocket home! Right hand turn back to Louisville…wait a minute…where is that tailwind I was supposed to enjoy?!?! Why do you hate us Mother Nature?!?! WHY?!?! Push on!! You have less than 20 miles home!! Just get to the run!! EXPLORE! !” Pee on the bike…check! “Wait a minute…why are there so many cars on this road?! HOLY SH*T!! I have to stop so I don’t rear end that car…OH NO…wet brakes…Mojo, please STOP!! PLEASE STOP!! THANK YOU!! This is insane!! Why are there so many cars on our roads?!?! I’ve never had this much traffic to dodge during an Ironman before. Someone could seriously get hurt out here. This is not safe! Just get back to town! Go figure…brake on the descent so I have to start from a stopped position to climb the hill. STUPID CARS!! ATTITUDE ADJUSTMENT…You GET to do this! Be safe and enjoy the last few miles! You are feeling great! EXPLORE! !” (How many lies is this?!?!) Pee on the bike…check! “Oh…there is the Ohio River…that means I’m getting close to transition!! Look…there are the bridges!! Wahoo!! I made it! !” This was my 2nd fastest Ironman bike split in tough conditions!! Boom!! After I handed Mojo off to a volunteer, ran to get my run gear bag, and made my way into the women’s change tent, I knew I needed some information. A volunteer came to help me and I immediately asked, “What is the current windchill and what time of day is it?” She responded with, “Let me look. It is 4:30 pm and the current windchill is 53*F. How can I help you get out on the run?” She helped me exchange my bike nutrition for run nutrition in my pockets, filled my hand held bottle with water (it already had Infinit run formula in the bottle), and helped me pack up my bike gear (don’t worry…I made sure to put my socks and bike shoes in the bag myself so she didn’t have to touch the urine filled gear…although the rain probably washed them clean). I kept one pair of arm warmers and swapped out my gloves for a dry pair (not really sure why since it was still raining) before heading out of transition and onto the run. I finished the bike!! Let’s run!! Ugh…I can’t feel my feet…how long is this going to last?! Oh well…maybe it is best that I can’t feel my feet for now!! Oh…There’s Dad and Abbie! Abbie asked, “How are you feeling.” I responded with, “Good, but I can’t feel my feet. They’re numb from the cold.” As I kept going, I saw Tim just up the street. Time to get this marathon started! Only monitor the heart rate screen…perfect! I am right where I need to be! I’m feeling good! Nice and steady! Forget about the rain…that clearly isn’t going to change! One foot in front of the other! I’m actually feeling a bit warm for the first time since the swim…arm warmers off. Should I throw them or keep them?! I’ll keep them until the second loop to make sure I don’t need them later on. Oh look!! There is Katie Thomas! I bet she’s coming into the finish. “Go Katie go!” She replied with, “You’ve got this Kecia” as she gave me a high five. Just the motivation I needed at this point to keep going. Oh volunteer at the corner…YOU are the best! “Remember your why! Things are going to get tough out there. Remember your why!” He was so right! Heart rate…check! Ugh…I have to pee again! How many times am I going to pee today?! I don’t want that in my run shoes, so kybo it is! That is so much better! Ok…here we go…one foot in front of the other!! There is my Coeur Sports teammate Michelle! “Good work Michelle! You’re doing awesome!” She also cheered me on as we gave each other a high five in passing. Oh…there is the guy from Madison in the IronWorx Multisport kit that passed me on the bike! “Hey there! You are the one that passed me on the bike correct?” He said, “Yes, that was me! So you know Steena!” I said, “Yes! Her and John both! They are great people! I’m Kecia by the way.” “I’m Andrew.” I said, “Steena and I ran together on at Ironman Ohio 70.3 and she helped me achieve a sub 6 hour finish! When it got tough, she gave me this Fellow Flower that I’m wearing. I’m so grateful for them!” He said, “Yes, they just did Ironman Wisconsin.” I said, “Yes! They did awesome! I am the captain of the women’s change area in Wisconsin, so I picked up their gear and bikes and took it to their car for them.” He said, “They are so much fun! Well, I’m going to walk for a bit, so run strong! If you see my wife, Heidi, up ahead, she has a red Fellow Flower in her hair.” I replied with, “I’ll look for her! I’m sure I’ll see you again before the day is done.” Heart rate…check! Keep running strong! Finally…the turn around! Ugh…I have to pee again! Why do I have to pee so much?! Oh…I bet I’m peeing so much because I’m not sweating! I’m glad there are kybos every mile on the run course. Ok…here we go again…one foot in front of the other! Keep going strong and keep the heart rate in check. Oh…I can feel my feet again! They finally aren’t numb from the cold! Wahoo! Heart rate…check! Yes! I made it back to Churchill Downs! Oh…there is Tim out on the bike! He asked, “How are you feeling?” I said, “Good. I’m keeping my heart rate in check.” He said, “I’m going to yo-yo with you back to the turn around” as he rolled ahead. It was about this time that I started to feel a lot of added tension in my back. Just keep moving forward and focus on your form! There is Tim! Keep putting one foot in front of the other! Make it to the turn around! I made it to the turn around, saw Dad and Abbie, stopped briefly at my run special needs bag to pick up some SBR Sports, Inc. Skin Slick to spray down my arm pits that were feeling like they might have some chafing started. I told the lady that if anyone needed my long sleeved tech shirt to please give it to them (since they throw away our special needs bags after the race…we don’t get them back). It was time to head back out for the last leg of the marathon. Ugh…my back is getting tighter. EXPLORE! Just get to mile 14! Heart rate…check! Mile 14…check! Just get to mile 15! Heart rate…check! Mile 15…check! Just get to mile 16! I have to pee again…this is getting annoying, but I have to keep drinking my calories! Ok…where’s the kybo…there…that’s better! Here we go again…oh no…my back is SCREAMING at me! EXPLORE! Ok…do what you can to keep moving forward. Walk for a bit and then jog as long as you can. Just get to mile 16! Brrr…I’m starting to get cold again. Time to put the arm warmers back on! I’m glad I kept them! Oh…there is Michelle! “Finish strong girl! You’re doing awesome!” Ok…one foot in front of the other! Mile 16…check! Just get to mile 17! Focus on your form. EXPLORE! Come on back…don’t lock up on me just yet! I have a few more miles to get to the finish line! Mile 17…check! Just get to mile 18! I have to pee again! Mile 18…check! Kybo…check! As I stepped out of the kybo, my back spasmed and almost brought me to my knees. Ok…walk for a bit. Just keep moving forward to mile 19 and get to that turn around! Ok…let’s try to jog easy. EXPLORE! Little by little make your way to the finish line. You haven’t come all this way today to quit now. Keep moving forward. Mile 19…check! The turn around…check! Mile 20…check! Kybo…check! Just keep walking/jogging to the finish line! Mile 21…check! There’s Andrew! “Go Andrew!” He asked, “How much farther to the turn around? !” I responded with, “You have a ways to go yet. Finish strong!” I couldn’t remember if he had 1 mile or 2 miles to the turn around and I didn’t want to give him inaccurate information. That is the worst as an athlete! I have to pee again! Mile 22…check! Kybo…check! Oh no…my back is just not going to let me run right now. I’ll try again in a bit. EXPLORE! Nope…still no such luck. Ok…less than 4 miles left. You can walk it home from here. Churchill Downs…check! Mile 23…check! I made it back to the amazing volunteer on the corner. “Time to send me home,” I said as I passed by him. “Way to go! You’ve got this! Finish strong!” As I rounded the corner, I saw another lady walking in front of me. As I approached her, I asked her how her day was going. She said she’d had better. This was her 11th Ironman and this has been her most challenging day yet. She was also walking because her back had locked up, but sadly she was just approaching the turn around and had to go back out for a second loop. We decided that we thought we were having back issues because of the cold temperatures. She said she was going to stop to stretch out her back, so I continued on. Mile 24…check! Just keep walking! Mile 25…check! I have to pee again! I should probably go before I go through the finish chute…it always takes so long to get through there and to a kybo. I’ll go at the next one! Kybo…check! Mile 26…check! Lia! Thank you for being out here! It’s time to shuffle as best I can to make it look like I’m running (that’s pathetic). There’s the finish chute! I can’t believe I made it here. This was truly the toughest day I’ve ever had. Tears…nope, not yet! There is Abbie and Dad! Love you guys! That finish line! The finish line is the best feeling after such a physically and mentally challenging day! I have no idea how many “lies” I actually told myself so I would keep going and not quit. I was determined to find my way to the finish line and was willing to dig deep to do so. I’ve never had to dig so deep mentally to achieve the finish line in anything until now. This day pushed me way out of my comfort zone and beyond what I ever thought possible. Even over a week later, I still don’t know how I overcame all of the challenges that the day presented to make it to the finish line, but I did!! It is the finish line that I’m the most proud of…not because I achieved my goal time, not because it was the perfect day, not because I nailed my race day goals, not for so many reasons one might typically think of. I am most proud of this finish line because I adjusted on the fly to overcome all of the challenges throughout the day and I gave EVERYTHING I had and MORE mentally to reach that finish line. I am SO MUCH STRONGER than I give myself credit for. When the rubber meets the road, I rise to the challenge. #trainthebrain…you CAN do anything you put your mind to. On race morning, I was determined to do everything within my power to get to the finish line of Ironman #6. I had to mentally dig deep into places I didn’t even know I had in me. I’m so grateful that I had the mental strength, grit, determination, perseverance, and fortitude, to push my limits and cross the finish line of Ironman #6!! Be prepared for the unexpected. Pack everything…including the kitchen sink…when traveling to a race. You never know just what you might need on race day! There are so many great people in this world!! Camaraderie occurs during times of struggle and the way that athletes, volunteers, and spectators came together to help and support each other during Ironman Louisville 2018 was so encouraging. Stepping outside of one’s comfort zone is where the magic happens!! It takes a village!! While I’m the one to cross the finish line, I couldn’t do it without support. I’m beyond grateful for my village!! 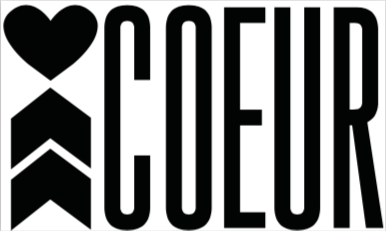 Coeur Sports…This brand…I am beyond grateful to Kebby Holden and Hailey Manning for connecting me with some of the most amazing, supportive, encouraging, and inspirational women!! I am truly blessed!! I had so many of these amazing women with me in spirit on race day!! Bonus…the Coeur Sports gear is the best out there!! After being cold + wet ALL. DAY. LONG. I had ZERO chaffing and #noangrykitty!! SBR Sports, Inc…Thank you for your support this season!! The Skin Slick and Tri Slide made my race day + training so much better!! Infinit Nutrition…Thank you for helping me find a nutrition solution that FINALLY worked for me after nutritional failure after 5 Ironman races!! Thank you for overnighting my bike nutrition when my first bag arrived damaged just days before we were leaving for Louisville!! Kyle’s Bikes…Thank you for always giving Mojo the BEST care!! I always know we are in good hands when you have our backs!! 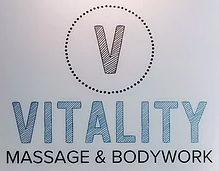 Nick with Vitality Massage…Thank you for keeping me healthy and ready to race + watching our fur babies when we are off playing for multiple weekends throughout the year!! Chris with Team Chiropractic…Thank you for keeping me healthy and race ready + working on my back post Ironman Louisville!! Swimming with my #1 supporter by my side!! I forgot to get a pic of this bike ride…let’s just say I put on my race gear, took a cold shower, and went out on the bike in 38*F air temperature to test if my race gear would be warm enough. Brrrr!! The second run (that I also forgot to take a picture of) was after my bike ride that I mentioned above. Cold + wet = Brrrr!!! Grateful to have Nick with Vitality Massage help keep me race ready!! Kicking the feet up, reading a good book, and hoping Mother Nature isn’t going to be as evil as predicted!! Pre-race braids thanks to my sis!! So grateful she was able to come to Louisville from Cali to cheer me on!! I’m so grateful to the Coeur founders and my teammates for the shoutouts, cheers, and encouragement to keep going when things got tough!! These two!! I’m so grateful for my fave and sis!! It was so great to spend some time with them before race day!! How was your week? What were you grateful for last week?! How do you enjoy the calm before the storm? What a crazy, yet fun week!! It was full of taper crazies, packing crazies, and spectating crazies…all of this crazy brings me joy (yes, even the packing…it means a vaca is in sight)!! You know it’s taper time when your swim + run workout combined are shorter than just your swim workouts the last couple of weeks!! Definitely not ready for windchill temps of 35*F like I experienced today!! Cycling around the Twin Cities on my cross bike chasing down my fave!! No idea how many miles I logged (so they aren’t included in the above total), but it was fun and challenging to stay ahead of him!! When you are a tapering Ironman athlete + middle school teacher in the Midwest with drastically changing temperatures, you load up on Sound Probiotics to keep healthy!! So grateful for some downtime in my Normatec boots while getting sucked in to this AMAZING read!! It’s TAPER TIME!! I’m so glad to have made it to this point!! With the completion of last week’s workouts comes the taper for Ironman Louisville and I’m ready for it!! The hay is in the barn and I’m looking forward to lighting it on fire in 2 weeks!! It’s Flippin’ Friday!! Doing somersaults in the water after swimming Friday morning! Alternating between Z2 and Z3 was a struggle, but I did it!! These two…love them and our nightly dog parties in our bed!! Thank you to Kyle at Kyle’s Bikes for putting a new chain on Mojo and giving her your race day blessing!! How was your week? What were you grateful for last week?! Do you enjoy the taper? !